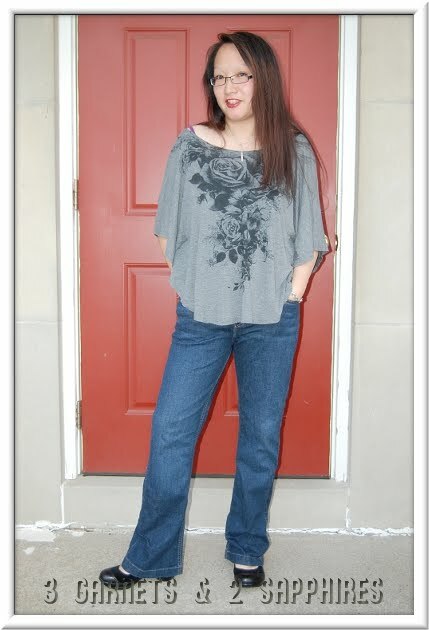 One of my favorite things to wear is a comfortable flattering pair of jeans, especially during the autumn months. In order for jeans to feel super-comfortable to me, they usually need to have a tiny bit of Spandex in them. These Slender Secret Dixie Barely Bootcut jeans by Lee have 2% Spandex combined with ringspun cotton denim. These jeans are actually so soft, they do not feel like jeans, but rather they felt like I was wearing a pair of khakis. This style of denim was chosen for me because I prefer low-rise pants. I do not have an hourglass figure, so pants with a longer rise that taper at the waist just do not fit well on me. I am usually between a regular length and a short. Depending on the brand, I could go either way. For these jeans I had to go with the short length, which offers a 30" inseam. They also seem to fit true to size. I usually wear a size 10 and these jeans fit just about right. As you can see, these jeans have a lot of details. 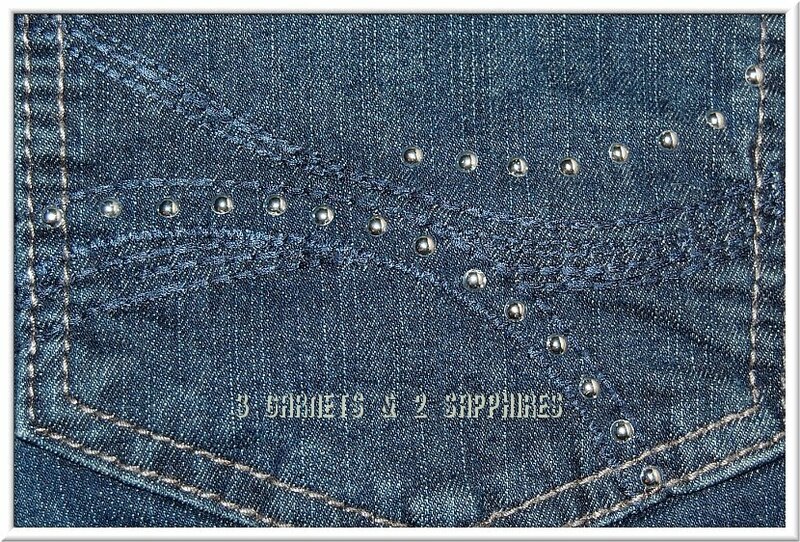 The two back pockets have blue stitching and chrome studs. On the front, each side has double pockets. The inner pocket is a shallow one and is only about 3" deep. There were two things that made these jeans less-than-perfect for me. The first was that they wrinkled very easily, just like a pair of cotton khakis or dress pants would. We tried Down Wrinkle Releaser on them, which seems to work great on all our other clothing, but they still looked rumpled. The other thing I do not particularly care for is the wide topstitched hem. Because the jeans were so soft already, not having a stiffer hem made these jeans feel even more like a pair of khakis or dress pants. They did not seem to sit well on top of my shoes. I also think this type of hem takes about an inch and a half off of your height. I do not have particularly short legs, but these jeans seem to make my legs look shorter than they are, even while wearing heels. I have to say, these jeans are very comfortable. I wish they offered the sleek look I usually prefer in denim. However, they would probably be more flattering on someone who is on the thinner side or someone who has longer legs. These bootcut jeans are offered in 2 washes and 3 different lengths in petite, misses, and plus sizes. 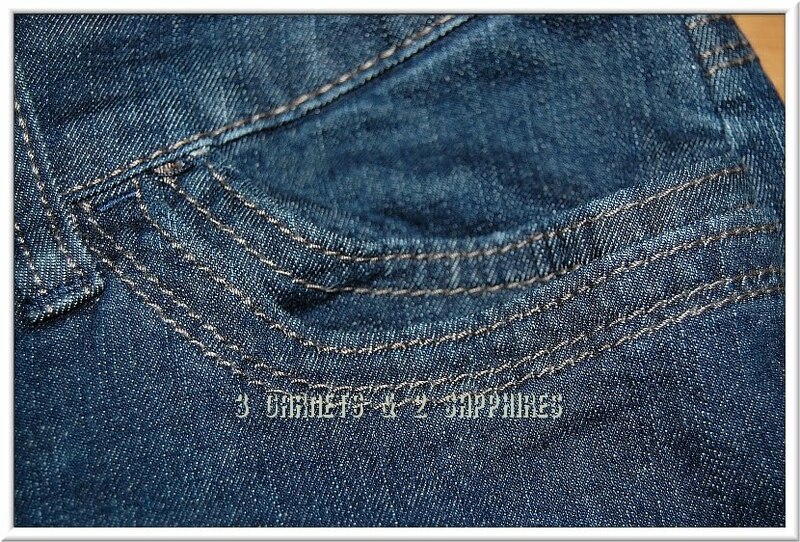 Visit Lee.com to find out more about this and other styles of denim for both women and men. This site is currently offering Free Shipping on all orders. Thank you to Lee Jeans for providing a complimentary product sample for us to base this review upon.